After what seems like weeks of rain, we’ve had a beautiful weekend in Bristol! Determined to make the most of it, we spent a very lovely couple of days out and about. When we moved here in August, I went straight into full-time work for the first time in years, and the 8 hour days really knocked the energy out of me for about 3 months. By the time I got used to it, it was dark by 4pm and wet outside, and it felt like we’d missed the summer and the best time to explore a new city. 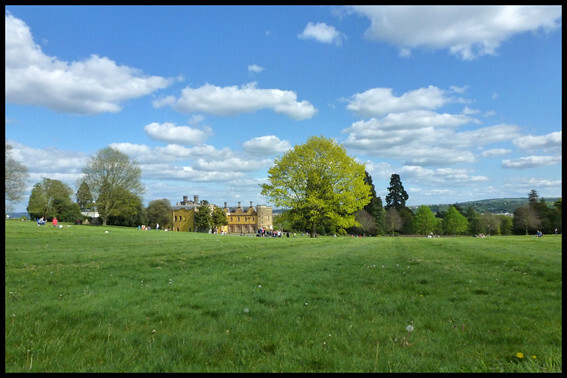 These first few pictures were taken yesterday at Ashton Court – our first visit and I am sure we will be back soon! 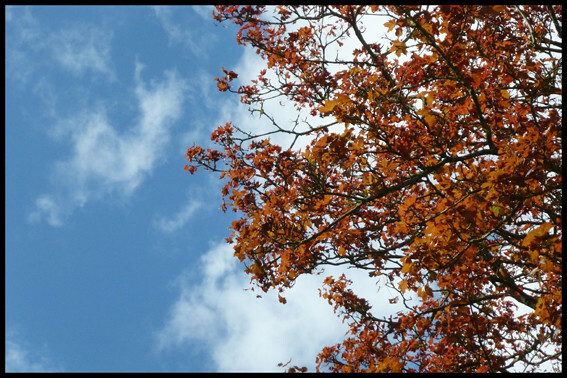 The weather was gorgeous and I got a little snap happy with all the colours around, it’s been grey for so long I was a bit over-excited! 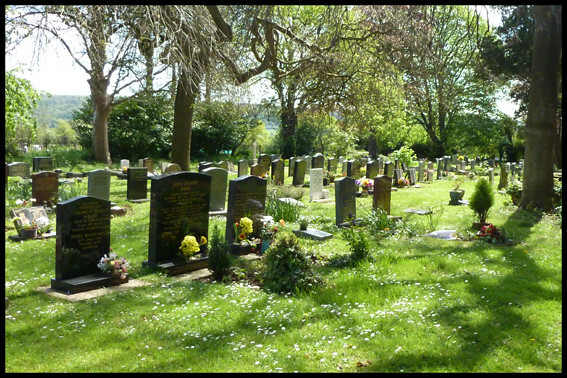 The wind was against us on the way there and it was more hilly than expected, but after a quick pit stop for lunch at Portishead Cemetery, we finally made it to Clevedon, and back! So this evening is all about stretching, eating curry, ginger cake and custard, Nutella from the jar, Game of Thrones and knitting. Hurrah! 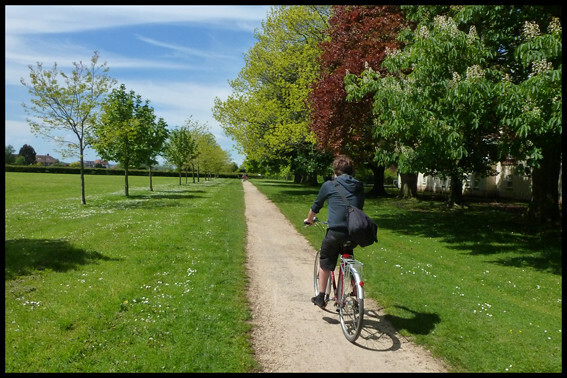 This entry was posted in Bristol, The Weekend and tagged Ashton Court Bristol, Bristol to Clevedon Cycle Route, Clevedon. Bookmark the permalink. 26 Responses to Sunshine – Finally! Thanks Jo! Steph and I plan to spend a few of our free afternoons making dresses, so we will be paying your website a visit for pretty fabric soon! Let’s go cycling sometime. Perhaps not to somewhere that far away though! 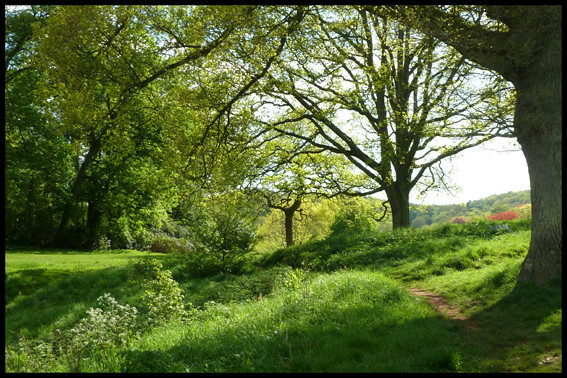 We should explore Ashton Court more… perhaps have a barbecue and pick nettles for making nettle beer! These photos are gorgeous. 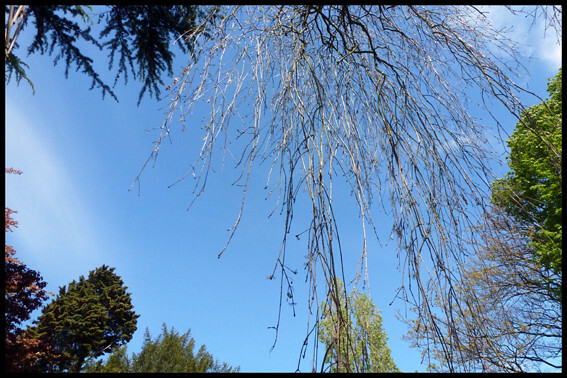 Love the clear blue skies and greenery. Your evening plan sounds perfect too, enjoy! Sounds like the makings of a perfect weekend, especially the Game of Thrones and Ginger cake, yum! Thanks – you can’t beat it! Thank you! I’ve added you to my reader too. It’s always nice to make new blog friends! It looks gorgeous, no wonder you are looking forward to really exploring it! Here in London we’ve definitely skipped spring, it’s been weeks and weeks with rain. I’m hoping for a long and hot summer, though it doesn’t look like that is about to happen just yet. Isn’t everything so much better when the sun shines, especially when then has been soo much rain and grey. I’m liking your style on curry, cake, custard and nutella! You have a lovely blog, and your patterns look great too….look forward to reading more! I have been rendered speechless by a picture further down your blog of that huge inherited stash….wow! That’s some serious amount of queuing on ravelry to sort that lot out! 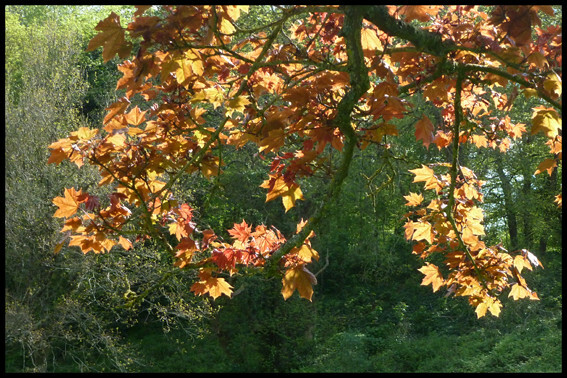 Thanks for your lovely comment on my blog Welcome to bristol! 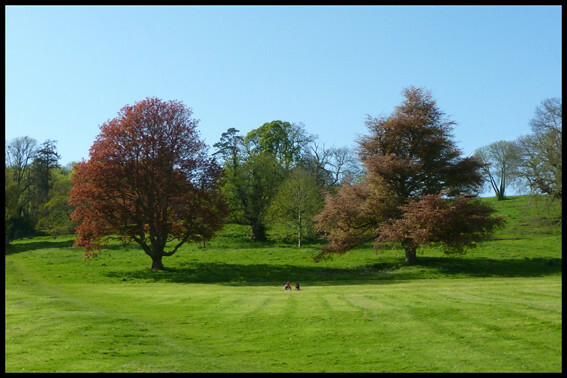 The pics of Ashton Court look amaing, it’s lovely to see it through new eyes. Shame you missed the Simon Amstell gig, he was brilliant, as funny as he is in Grandma’s House. I definitely recommend going if you ever get a chance. Hi Faye, what a lovely cycle ride you had and such gorgeous photos, can’t blame you when we are so sun deprived! 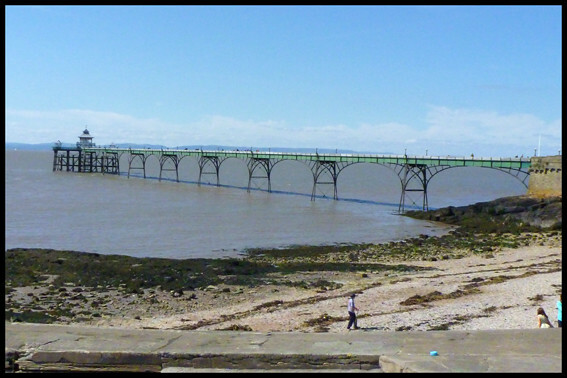 Would love to go to see Clevedon Pier it looks amazingly elegant jutting out into the sea. Sounds like you worked up quite an appetite too! Hurray to ending your contract and doing some knitting design!!! !